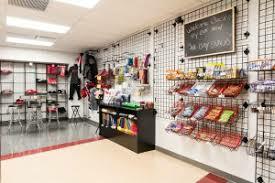 The Shool Store is open from 6:30 am to 7:10 am and 2:00 pm to 3:00 pm on days school is in session. Volunteers sell beverages, snacks, school supplies and spirit wear to students and staff. It is easy and fun! All of the profits go to the Band Boosters and help make the band program great. Your time is valuable and greatly appreciated. If you are new to volunteering in the store, please let Rhonda or Jody know. We will train you and be there with you until you feel comfortable on your own. Contact us with any questions.